Denmark has been a member of IHRA since 2004. Following the Stockholm Conference in 2000, the Danish government established a national day of Holocaust and genocide remembrance - Auschwitz Day. Since 2003, Denmark has thus commemorated the victims of the Holocaust on January 27. Around the country various remembrance activities are organized by the local municipalities aimed at the public. Alongside the remembrance activities - the Ministry of Education in cooperation with the Danish Institute for International Studies - is hosting a series of seminars throughout the country for high school students about the Holocaust and other genocides. Every year, the Minister of Education approves the actual plans for the coming activities. The national Auschwitz Day is dedicated to commemorate the victims and support the survivors, to promote education and public awareness about the Holocaust and other genocides in schools, high schools and universities and in the public at large. Denmark believes that keeping alive the memory of the Holocaust will be a warning for future generations. Denmark has a longstanding tradition for promoting and protecting human rights and fundamental freedoms. Denmark believes that keeping alive the memory of the Holocaust through education, research and commemorative activities is an important way to teach future generations about fundamental human rights, and the necessity to observe and protect them everywhere. 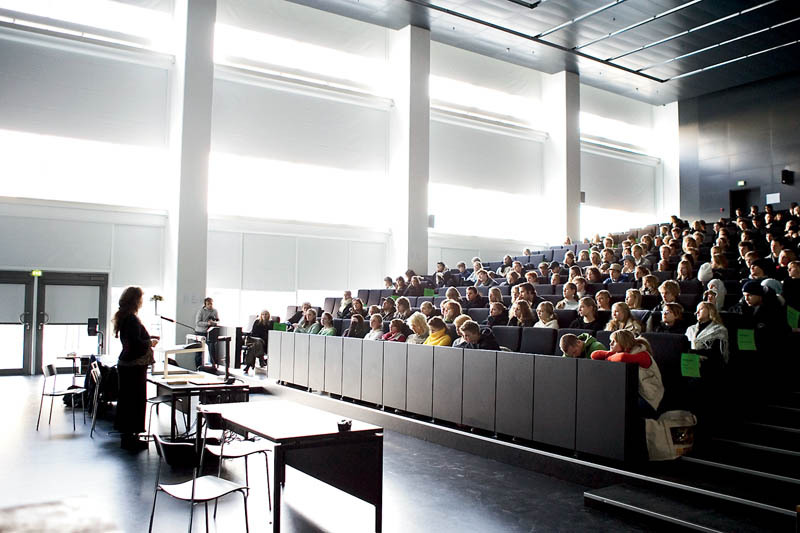 Various educational activities are related to the marking of Auschwitz Day in Denmark. Under the auspices of the Ministry of Education, students in lower and upper secondary education around the country are offered lectures from experts and visits from survivors. Schools may also make special visits to relevant museums and thus learn about the Holocaust and other genocides. Furthermore, a number of research-based educational materials and websites are available for students and teachers in secondary and high schools. The aim of the educational effort is to encourage teachers and students to deal with the subjects of Holocaust and genocide and to provide high quality, age-appropriate materials. Teaching about the Holocaust is not mandatory in Danish schools, but the Holocaust is a vital part of the general curriculum on World War Two and is typically dealt with in subjects such as History and Civics but also in Philosophy, Psychology, Danish and German languages. An educational website providing teaching material and knowledge about the Holocaust and other genocides. It covers various aspects and also features historic sources, teachers guidance, an online role play and other interactive content. In Danish. An educational websites focusing on the issues of Holocaust denial including source criticism on the Internet, freedom of speech and hate speech. In Danish. A website dedicated to the events related to the Remembrance Day on the 27th of January - Auschwitz-day. In Danish. In Denmark, Holocaust remembrance has largely been part of the general commemoration of the years of occupation. The national commemoration has mostly focused on the fallen freedom fighters of the Danish resistance movement. The remembrance culture surrounding these victims includes numerous monuments, memorial stones as well as other sites. 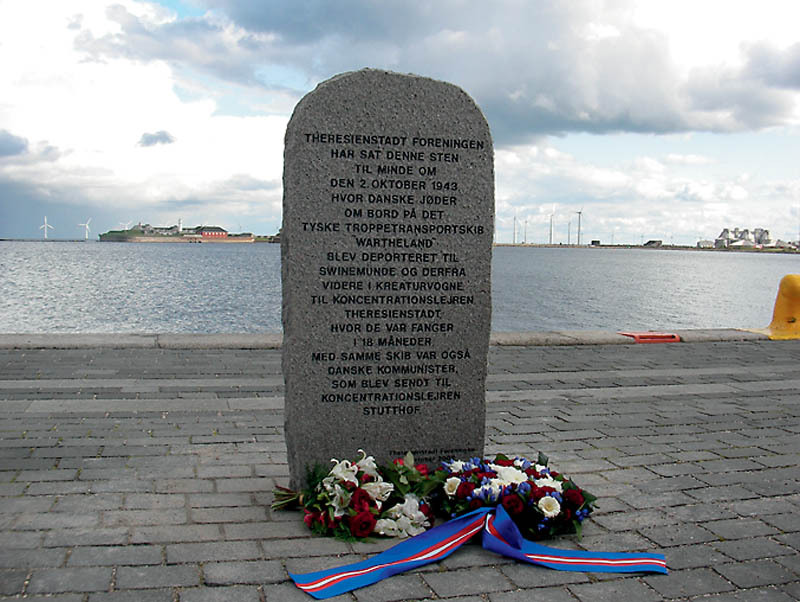 As for the fate of the Jewish population in Denmark, commemoration has been focused on the flight of the Danish Jews in October 1943, carried out with the help of the resistance movement and ordinary Danes, in which the majority of Danish Jews managed to flee to safety in Sweden. The rescue operation has been portrayed as a symbol of resistance and humanity and has been marked as part of the commemoration of liberation. In October 2013, 70 years after the rescue, a major event was held, where among others victim groups, historians, high ranking politicians and members of the royal family participated. Much less focus has been given to the approximately 500 Jews who were arrested by the Nazis and deported, mainly to Theresienstadt. The primary day of commemoration is 4th May. On the eve of 4th May 1945, the message of liberation was announced throughout Denmark. After the war, this date has been marked in different ways across the country. The main event is a memorial ceremony in Mindelunden where members of the resistance movement were executed. Following the Stockholm Conference in 2000, the Danish government established a national Day of Holocaust and Genocide Remembrance - Auschwitz Day. Auschwitz Day focuses on different genocides to obtain a better insight into why they are committed and how they can be prevented. On the naming of the day, the former Chief Rabbi, Mr. Bent Melchior, stated the following: The term "Auschwitz" has gained universal meaning. Really, it encompasses all forms of mass murder, ethnic cleansing and atrocities against people, whose only crime is to be born into or having joined the 'wrong' group. Since 2003, Denmark has commemorated the victims of the Holocaust on 27th January - the annual Auschwitz Day. Auschwitz Day is dedicated to commemorate the victims and support the survivors, to promote education and public awareness about the Holocaust and other genocides in schools, high schools and universities and in the public at large. On or around January 27th various remembrance activities aimed at the public are organized by local authorities, libraries, churches etc.. In addition the Ministry of Education is hosting a series of meetings between survivors and students, seminars with experts, trips to museums etc. In the history of the Holocaust, Denmark has a special standing because of the remarkable rescue operation in October 1943. Around 7.800 Jews and their non-Jewish spouses managed to escape the Holocaust and flee from Denmark to Sweden. With the help of fishermen, local people, the Jewish congregation, friends, neighbors, colleagues - as well as the resistance movement at large - most of the Jewish population in Denmark avoided the upcoming deportation by the Nazi occupiers. In the history of the Holocaust, the rescue operation is considered an extraordinary example of a national community that stood up against the Nazi oppressors. However, the myth of the inherent democratic Danish spirit as the primary factor for saving the Jews has long been rebuffed and today we have a more nuanced picture of what happened in October 1943. The Danish rescue was, and still is, remarkable. But we know more about what made it possible, as shown by among others Ulrich Herbert, Bo Lidegaard, Hans Kirchhoff, Sofie Lene Bak, and Bent Blüdnikow. We also know more about how it was to be a Jewish refugee, both in Denmark coming from Nazi-Germany, and in Sweden as a refugee coming from Denmark (Hans Kirchhoff & Lone Rünitz 2007/2005; Lone Rünitz 2010; Cecilie Felicia Stokholm Banke 2005; Vilhjalmur Örn Vilhjálmsson 2005; Sofie Lene Bak 2011). Added to this more nuanced picture is new research about the Danish deportees in Theresienstadt, which is now becoming more integrated into Danish historiography (Silvia Goldbaum Tarabini Fracapane 2006; Hans Sode-Madsen 2003). Finally, over the last 10-15 years, the history and public conception of Denmark's role during the Second World War has been revisited by a new generation of historians and journalists. New publications on the role of the Danish industries' business relations with Nazi Germany, the use of slave-labourers and the role of the agrarian sector during the war have contributed to an understanding of how complex and sometimes also contradictory history is (See Claus Bundgaard Christensen, Niels Bo Poulsen & Peter Scharff Schmidt 1999; Steen Andersen 2003; Joachim Lund 2005).